​Has a life of adventure lost her the man she loves? Another compelling novel from master storyteller J.H. Fletcher. Journalist Thea Anderson's adventurous life has been one of endless danger. Even her childhood, where she and her mother were forced to flee Malaya in the fish–stinking hold of a junk in the dying days of colonialism, was fraught with peril. For a time it seemed she would find safe harbour in Tasmania in the arms of winemaker Peter Torrance, but her restless spirit cannot be contained. 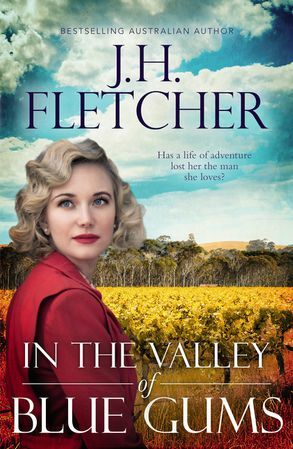 Thea's ambition is to travel the world as a foreign correspondent but Peter is dedicated to his family vineyard in a blue gum valley: it seems their love must fail. Thea makes her name internationally with her coverage of the assassination of President Kennedy then the escalating war in Vietnam, one of the only women in the field. Her job leads her further into peril and death stalks her all the way, until a return to Tasmania opens the door to a new and exciting career. Will this opportunity allow her to become reunited with the man she used to love? Or has that dream vanished, like mist in the valley of blue gums?